Parkview Field a ball park in Fort Wayne, Indiana is a step ahead of many other sports arenas by offering a dedicated area for nursing mothers to use while attending games or events. Not attached to a bathroom!!! 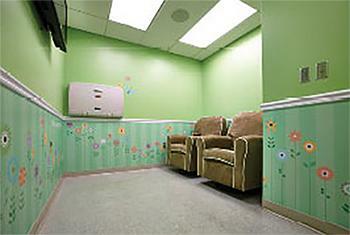 This spacious nursing room underwent a beautiful facelift in 2014 courtesy of Parkview Hospital its sponsor. Amenities include comfortable padded chairs to seat more than one mom at a time, baby changing station, a lockable door, decorated walls, an outlet for moms to connect their electric pumps, and air conditioning away from the heat and cold of the open stadium. "A very family-friendly ball park. 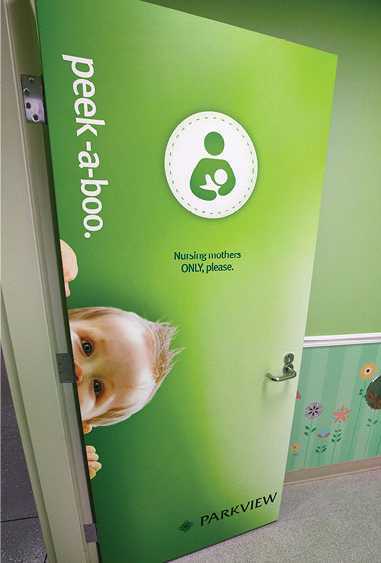 I was particularly impressed that they had a nursing mothers room off the women's bathroom!" Note: These are some of the larger size Minor League nursing rooms compared to the nursing pods.